Are company’s onboarding new executives? Organisations in the UAE employers are continuing to search for experienced professionals for executive roles to drive business expansion. With corporate taxation being minimal, no income taxes, as well as a relatively low import duty of 5% , the UAE has become a favorite for multinational corporations. According to HSBC (December 2016), nearly 60% of businesses in the United Arab Emirates are looking to hire at the managerial and professional levels; this number is up from 46 % previously. 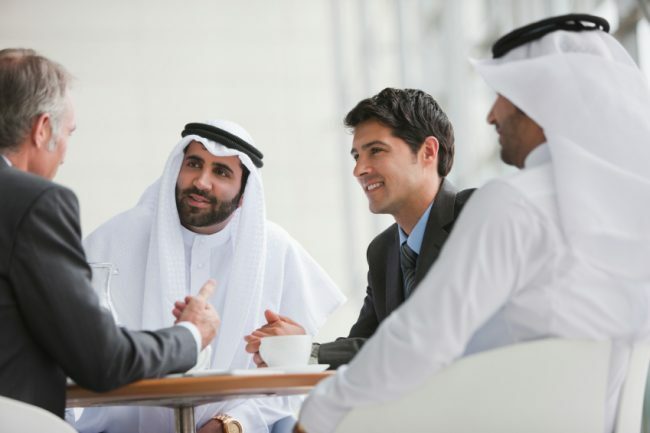 CEOs can expect to make an average of US$14,000 per month in the UAE. This figure covers individuals with varied years of experience and are across multiple industries. CEOs that are in the top ninetieth percentile are making an average annual salary of US$543,600. CFOs in the Emirates are making an average of US$16,000 monthly. The high end of the job market appears to offering an estimated US$20,000 monthly. It should be noted that Chief Financial Officer roles, as well as further roles mentioned below, are found more frequently within more established companies with larger budgets for executive packages. Conversely, CEO roles have a more diverse array of organizations involved, including technology start-ups; this accounts for the discrepancy in salaries. Project Directors can anticipate monthly salaries within the realm of US $20,600. High end salaries are speculated to earn approximately US$23,000 a month. These figures are significantly higher than those found in the Kingdom of Saudi Arabia; according to Robert Half’s 2017 Salary Guide, this figure is measured to be US$5,000 more per month. If you are interested in acquiring a position as an Executive Manager in the UAE, these roles are averaging a monthly salary of US$7,200. The highest earners are seeing salaries around $9,000 a month, before taxes. The average monthly salary for a Senior Project Manager is around US$11,800 a month, with the high-end earners earning US$13,000 per month. Financial Controllers are seeing earnings of US$6,800 per month, excluding bonuses. And as asserted by Bayt (February 2017), these bonuses feature as some of the most lucrative in the Gulf. Top earners are projected to earn closer to $9,000 monthly. If you are looking to acquire a role as an Operations Manager in the UAE, the average salary is $4,700 monthly. The high end salaries are entering the realm of US$7,500. Do you have the confidence to approach the UAE’s executive job market? If you ever need a helping hand, we’re always here for assistance. A graduate from Jacksonville University, Josh has been helping individuals reach their professional aspirations by providing meaningful and germane insights. His expertise will provide an invaluable understanding into how you can penetrate into the saturated executive job market.